Aquaforce Ltd - Plumber based in Ashford, Kent. 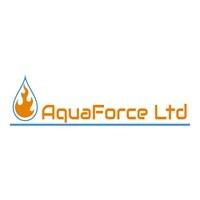 Aquaforce Ltd is a family run company founded by Aston and Kirstie Skinner servicing the whole of the Kent area with over 10 years experience. We are friendly and reliable with a great first time fix rate and we do not charge for call outs or no obligation quotations. We have a dedicated team member for small to medium jobs, meaning that in most cases he will be with you on the same day or next working day which is peace of mind when you need work fixed, fast!